LA JOLLA—Stretched out, the DNA from all the cells in our body would reach Pluto. 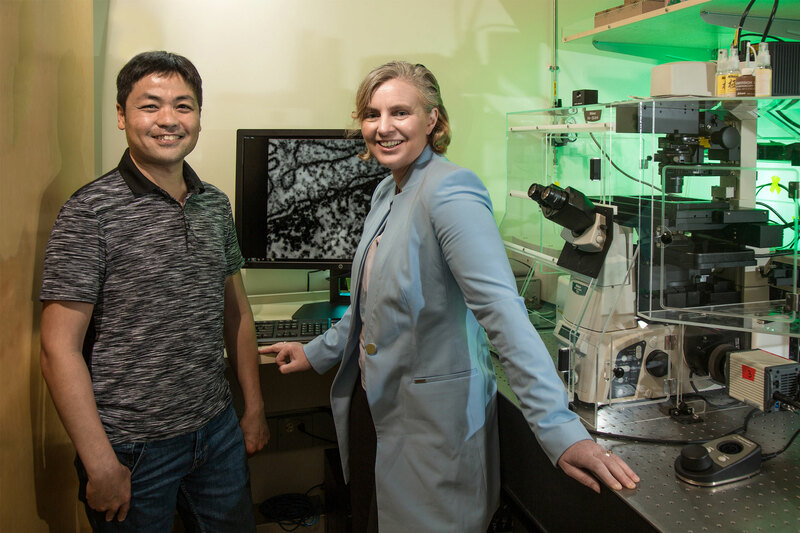 So how does each tiny cell pack a two-meter length of DNA into its nucleus, which is just one-thousandth of a millimeter across? 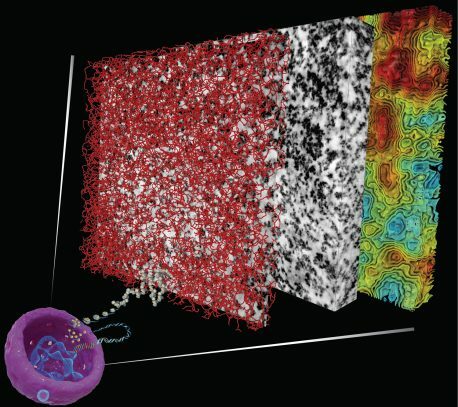 A new technique enables 3D visualization of chromatin (DNA plus associated proteins) structure and organization within a cell nucleus (purple, bottom left) by painting the chromatin with a metal cast and imaging it with electron microscopy (EM). The middle block shows the captured EM image data, the front block illustrates the chromatin organization from the EM data, and the rear block shows the contour lines of chromatin density from sparse (cyan and green) to dense (orange and red).